WA transport lobby says industry is better off after having Troy Buswell as the State’s transport minister. WARTA CEO Ian King has praised Troy Buswell for his work as Western Australia's transport minister. The Western Australian transport industry has praised former transport minister Troy Buswell’s achievements, saying he was "one of the best ministers" the industry has had. Buswell, who also held the treasury portfolio, resigned earlier this week but will continue as the member for Vasse. 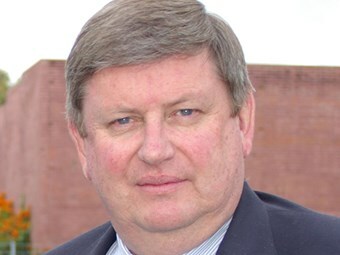 Western Australian Road Transport Association (WARTA) CEO Ian King says he is sad to see Buswell go but adds that he he expected it to happen. "I felt he was going to leave because he was sick and tired of politics. I’ve been saying for six months we’d be lucky to keep him until June," King says. "I think that you could see he was getting very frustrated being treasurer, he was tight with the money and I think there were some government ministers who didn’t take too much notice of him and it’s very sad to see he ended up the way he has." King says Buswell was a "competent" leader and good negotiator. "He would listen to anyone and everyone and would make fair judgement and that’s all we can ever ask from a minister," King says. "I think that a lot of small, medium and large companies are far better off by having had Troy Buswell as minister because he’s got things going – he’s got money and knows where the issues and dangers are. That is probably the hardest things we have to find – someone as good as negotiating and driving a hard deal." Buswell is currently receiving treatment after suffering a breakdown.